s your monochrome moggy utterly brilliant? National ‪#‎BlackCatDay‬ is almost here (27 October) and we’re once again on the prowl for this year’s Black Cat Champion in our brand new competition. To enter, post a photo and description of your rescue black or black-and-white feline in the comments below. We’ll shortlist our favourites and then open the vote to the public - before announcing our new champion on National Black Cat Day itself. 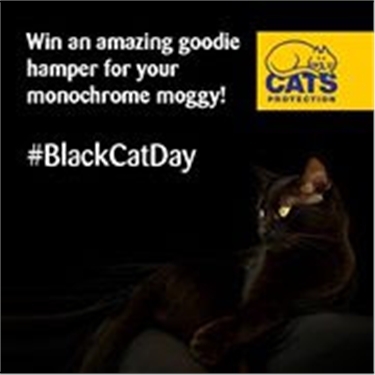 Make sure you post your answer on the main Cats Protection Facebook page - not under this post - although we would also love to hear about your loved black / black & white cats.